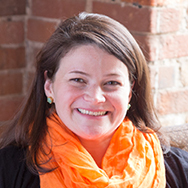 As a member of a global client team, Holly facilitates the design and development of customized leadership solutions. Her role includes client relationship management, budget creation and implementation, supplier engagement, and overall project leadership. Holly is based in New York and has delivered programs around the world – in North and South America, Australia, Europe and Asia. She has worked with a diverse range of industries such as financial services, telecommunications, pharmaceuticals, mining/exploration, insurance, manufacturing, and consumer goods. Before assuming the role of project director, Holly was a program manager at Duke CE and was responsible for the delivery of innovative and impactful educational experiences. She was responsible for project planning, sourcing and liaising with venues, communicating with participants, developing and managing program materials, managing logistics and bringing unique insights and creativity to the delivery of the team’s designs. Prior to joining Duke CE in 2007, Holly worked in alumni relations at Columbia Law School and in executive education at both Harvard Business School and Syracuse University. Holly holds a Master’s in Hospitality Management from Cornell University and a BA in Journalism from the University of Georgia.